In recent times, Robotic Process Automation (RPA Technology) has been the buzz trend of the tech industry as one of the most cutting-edge Digital Transformation technological tools which can be used by organizations to cost-cut expense, save time, and maximize resources via the automation of repetitive, high-volume Tasks. The global robotic process automation (RPA) market size is expected to reach USD 3.11 billion by 2025, according to a new study by Grand View Research, Inc. The global market is estimated to expand at a CAGR of 31.1% during the forecast period. 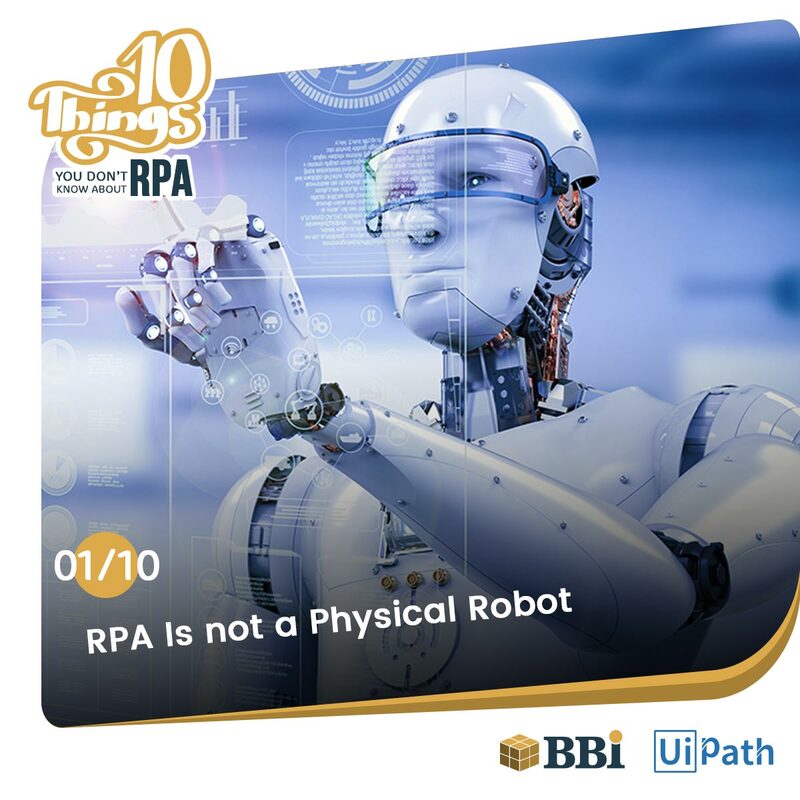 This article examines the validity of the 10 most widely held information about robotic process automation (RPA). When we hear “Robotic Process Automation” it may remind us of robots or some unknown kind. Everything around us is getting more and more automated, but NO, RPA technology is not a physical robot, Robotic process automation (RPA) is the use of software with artificial intelligence (AI) and machine learning to handle high-volume, repetitive time-consuming tasks that required humans to perform. In other words, it’s a software robot! 2. Software BOTs can operate 24/7 and can reduce 25% of the cost with better Quality. Software BOTs are like a virtual worker that runs 24/7 with minimal downtime based on a defined schedule or triggers and also improves productivity as well as generating greater predictability and higher process quality. 3. 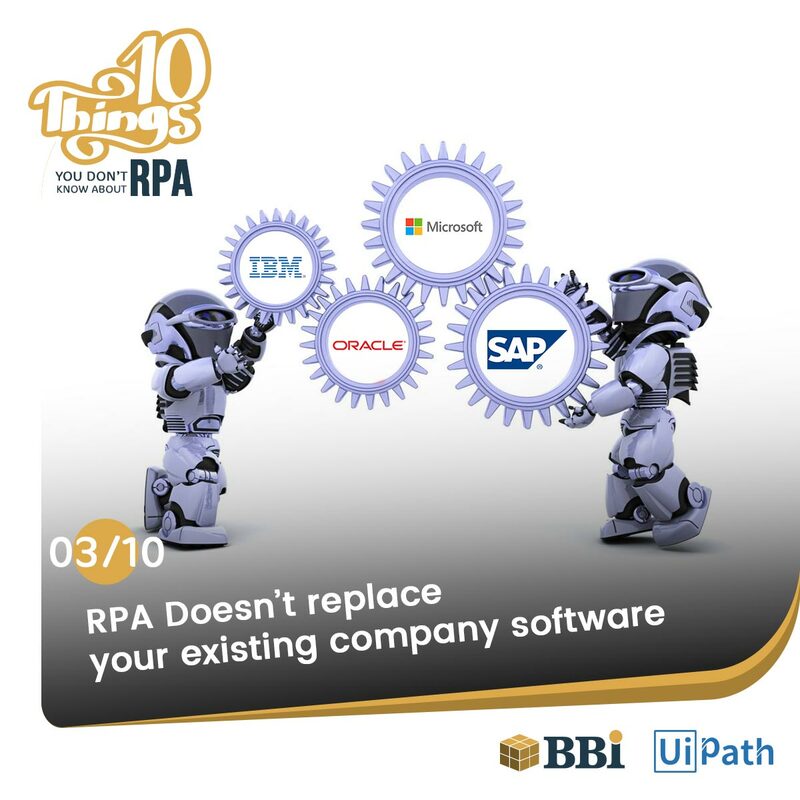 RPA Technology Doesn’t Replace your Company Software. No matter what platform or ERP your company is using, RPA application is, or context is, RPA software can be plugged, integrated and function. With every kind of software bot ready and waiting — from task-based to cognitive. Architected for enterprise-level security, Robotic Process Automation supports 3rd-party credential stores with FIPS-compliant (Federal Information Processing Standards) crypto and enterprise key management in order to be suitable with enterprise-level security. 4. 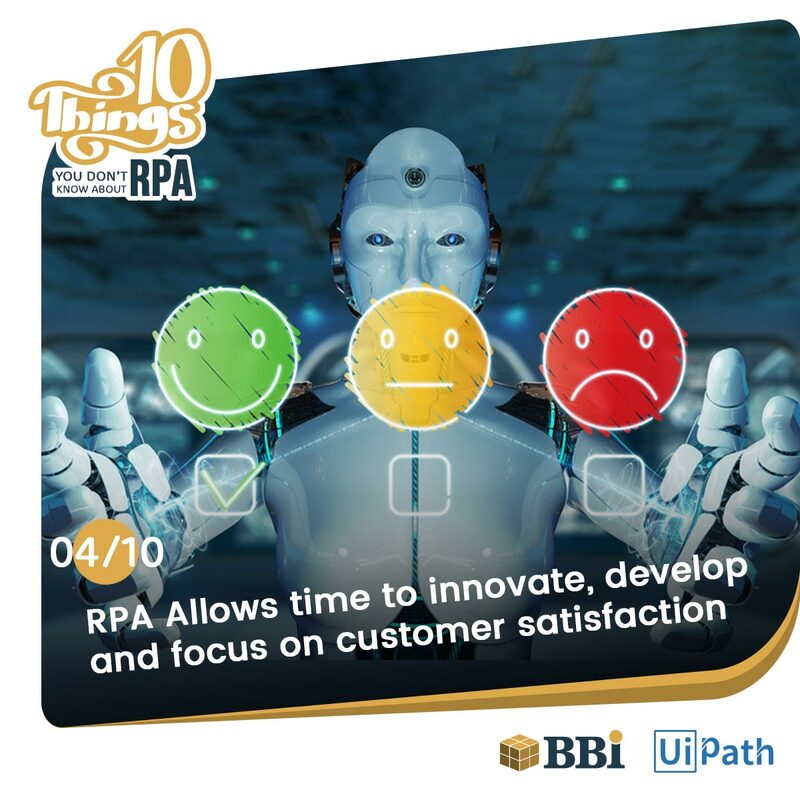 RPA Software allows time to Innovate, Develop and Focus on customer satisfaction. As RPA takes care of the menial tasks, employees have more time to focus on core human responsibilities such as sales, marketing, strategy, and solutions. In turn, this will establish higher business value and cultivate effective customer engagement. When Robotic Process Automation is employed in a company, staff roles may need to be reviewed and employees will be relocated to more important customer service activities, as the tedious back-office processes are now automated. 5. 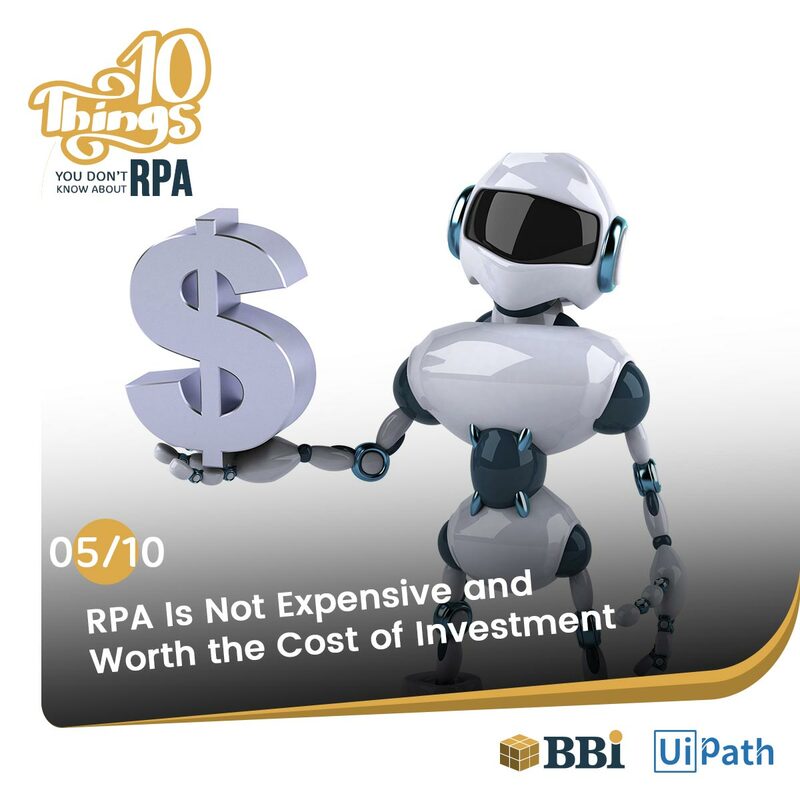 RPA Technology is not expensive and worth the cost of investment. 6. Software Robots will not replace the human workforce. 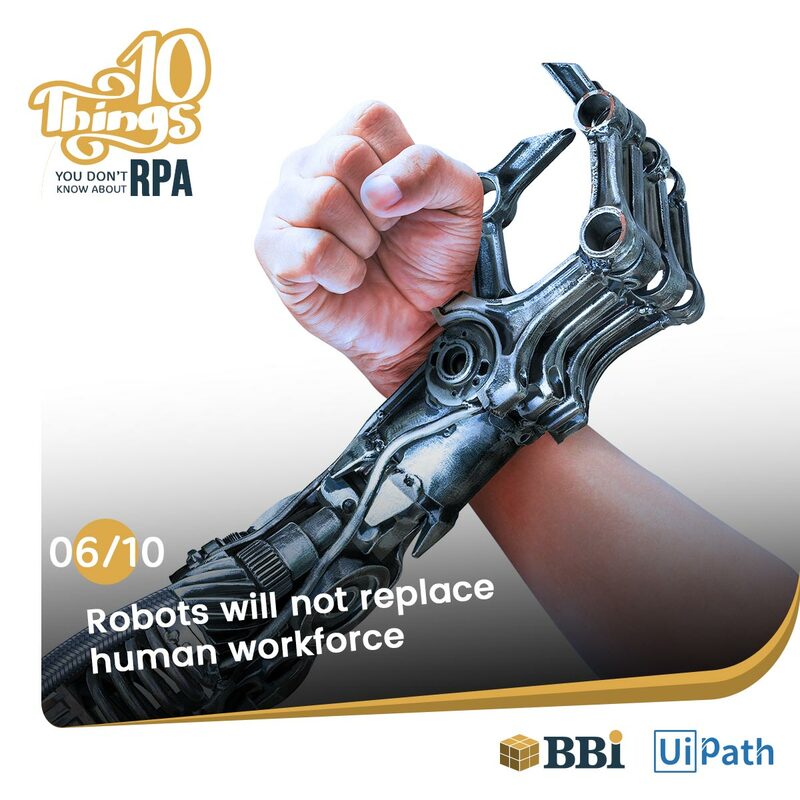 While it’s true that some activities previously executed by company employees will be automated these days with RPA technology, that certainly does not mean that human staff is obsolete. Simply, software robots can’t function independently without humans and they are still not able to carry out the more complex human high thinking processes. So human employees will be supported by the introduction of Robotic Process Automation technologies — to support staff members’ performance rather than displace or replace them. There are benefits to be had for both enterprises and employees. 7. 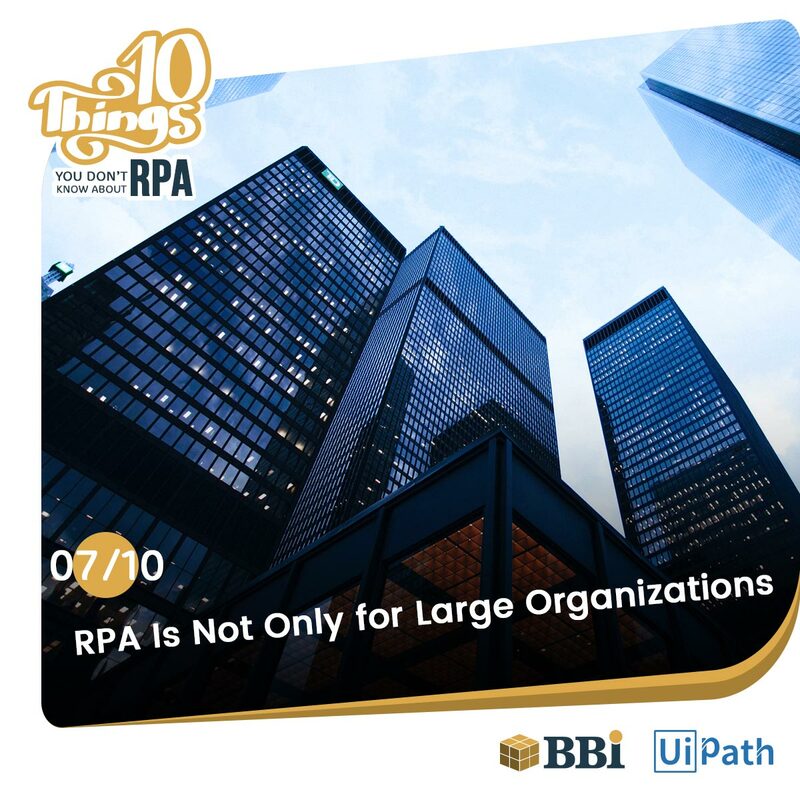 RPA Technology is not only for Large Organizations. There seems to be a belief that RPA software bot is only useful in selected industries, like banking and finance, for example. Yet the fact is that back office activities must be carried out in all industries, which makes Robotic Process Automation relevant to a much larger range of businesses than perhaps first thought. Wherever there are repetitive, standardized and numerous menial tasks to complete, RPA has a potential place to fill. Robotic Process Automation can be used to manage detailed tasks such as retail order processing, insurance claims processing, accounts payable/receivable, audit and compliance, communications between manufacturers and their customers, as well as in the healthcare industry, where it can manage patient appointments. 8. 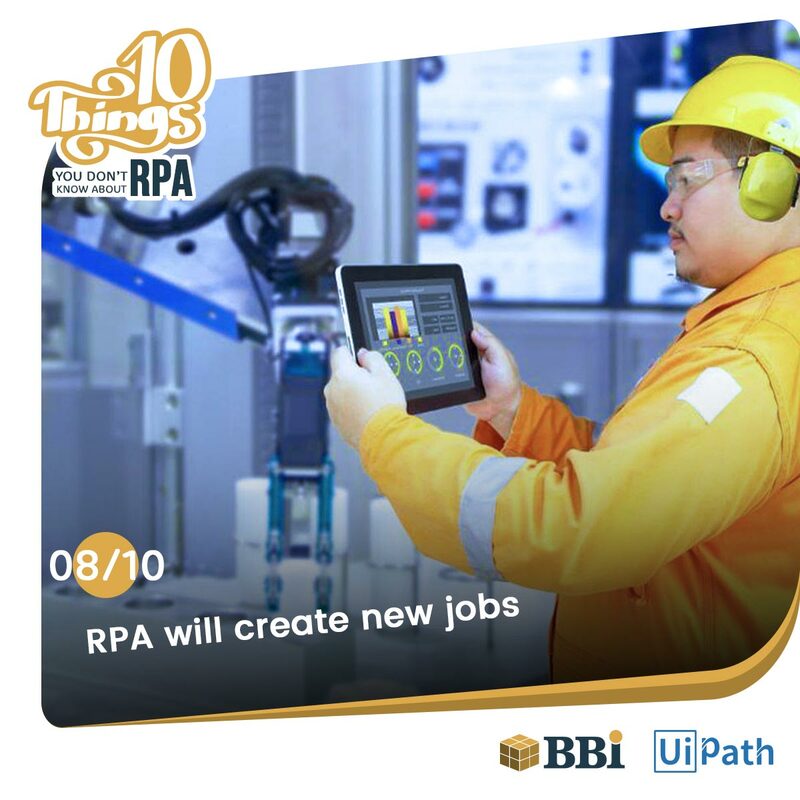 RPA Technology will create new jobs in the market. Companies are already heading to automation solutions which creates new opportunities for the employees. not just that roles will be changed. Roles like business analysts can help businesses in their growth. Also through this, employees will learn new technologies and improve their skills which are currently required in RPA. RPA technology has a huge scope in the future as the world is now transforming into the digital era. 9. 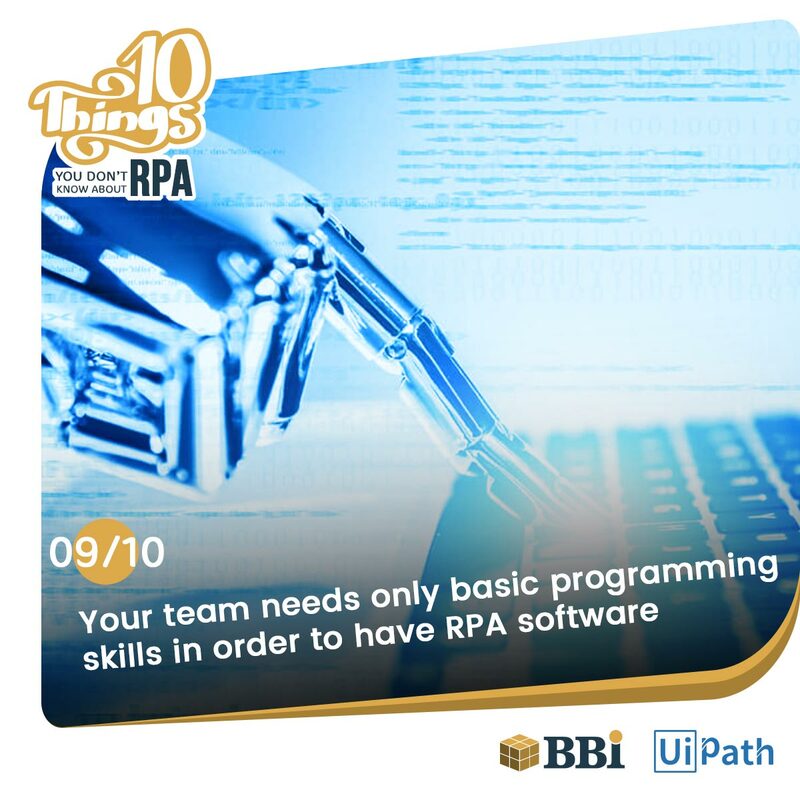 Your team only needs basic programming skills in order to have RPA Software. Robotic Process Automation does not require programming skills coding skill to complete 80% of the task in the RPA project. Only for major advanced functional level automation Java or .net is required. RPA Technology and software bots are so easy, that every employee can use it – for any process, anywhere in the business. 10. 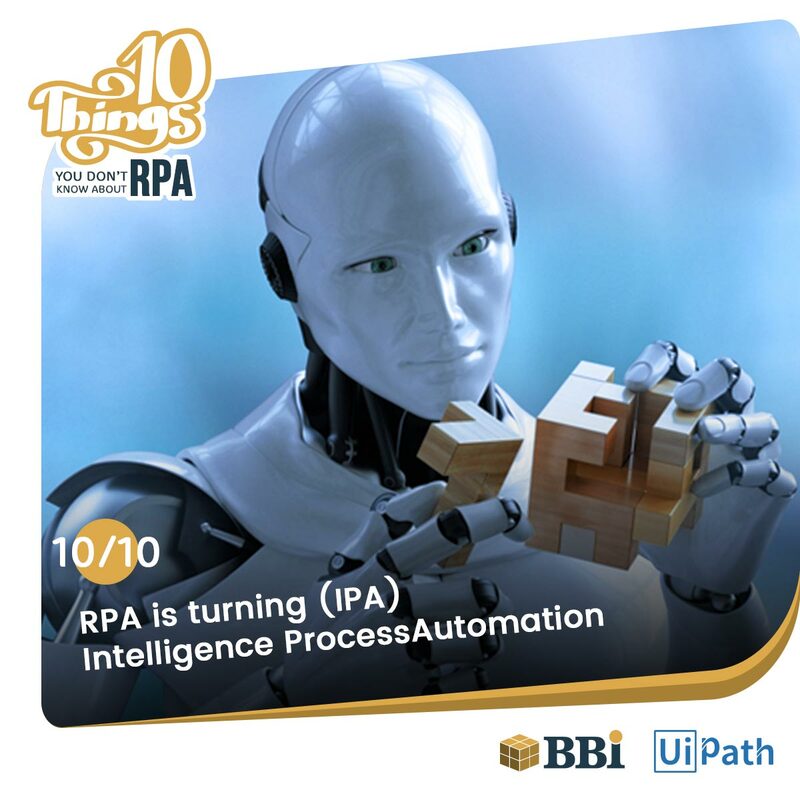 RPA is turning IPA (Intelligence Process Automation). 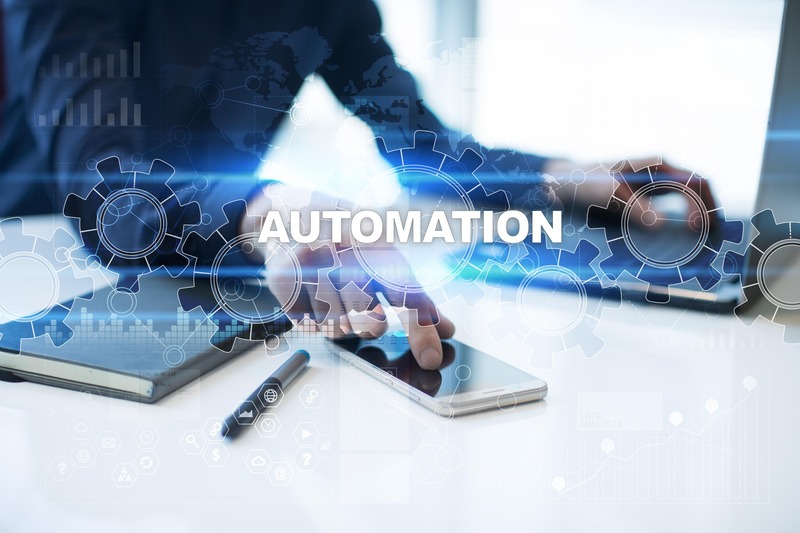 As many tech leaders mentioned, Intelligent Process Automation is the next wave of business efficiency and the future of automation seems to point towards a confluence of enterprise systems and intelligent automation. Enterprise will look to adopt service and technology that will most likely interconnect with their existing systems as well as newer, quicker and smarter technology. 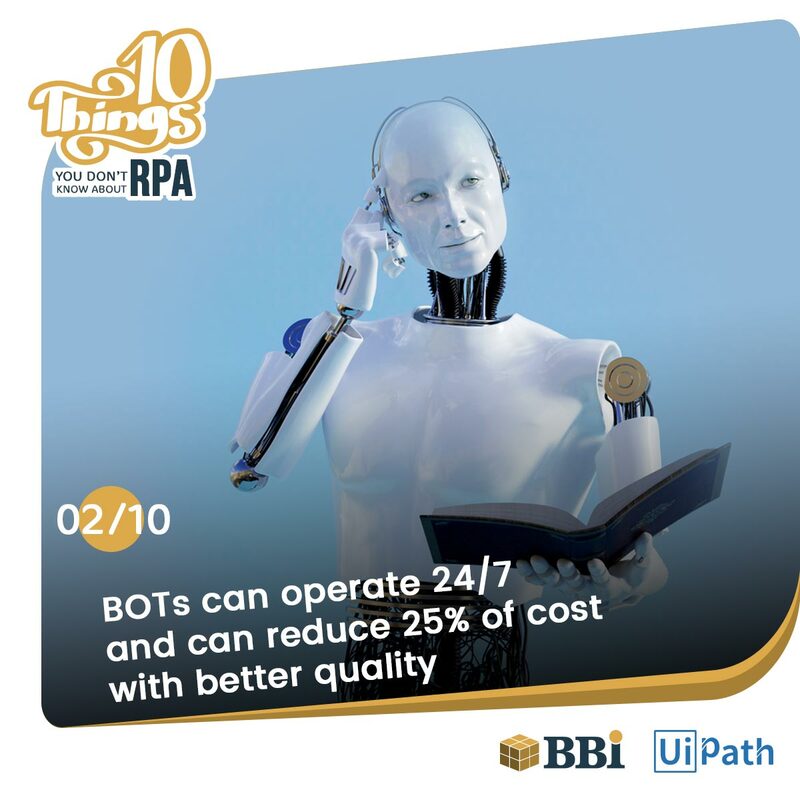 BBI in a partnership with UiPath provides clients across the middle east with state of the art RPA solutions to automate the toughest processes in various industries. from telecom & manufacturing to retail to health care and public sector.